Tucked away from the coastline of Kerala lies a gorgeous village full of misty hills, waterfalls, and perpetual greenery. Vagamon (also written as Wagamon) is a quaint little hill-town located in the Idukki district of Kerala. Full of lush-green meadows and tea-estates, Vagamon also doubles as one of the coolest hubs for paragliding in South India. A truly underrated travel destination of South India, it sees the bare minimum of tourists. Hence, if you stumble across this small village, you’re likely to revel in Nature’s lap, away from the city-hustle and even the usual crowd of tourists. And like many other unexplored places, Vagamon is very generous in its offerings. 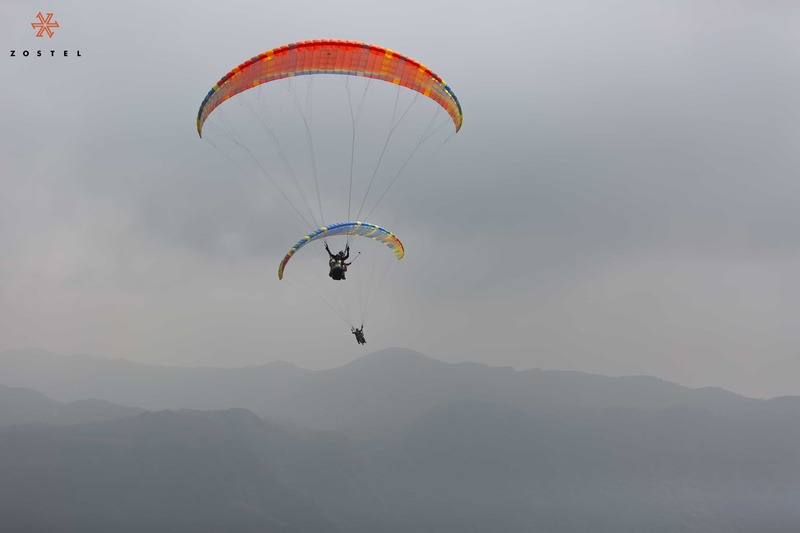 For starters, you can enjoy one of your most memorable paragliding experiences in this town. Imagine gliding over a landscape full lush green hills decorated with mist, flowers, and tea-plantations! In addition to paragliding in Vagamon, the village has plenty of hikes, treks, and camping experiences in store for you. It also makes for a great place to enjoy stargazing. And hey, if you’re someone who gets high on adventure, you should also try ziplining and off-roading when in Vagamon. Now that we’ve established the fact that Vagamon is indeed a backpacker’s haven for adventure, nature, and exploration, let’s get to the details. Since its not a very popular tourist attraction, you won’t be getting direct buses to the town even from major cities like Bengaluru or Chennai. And if you’re a traveller reading this blog and dreaming of your next getaway, you already know by now that the best places come far from easy. So, I’ve done the math for you. Now all you have to do is pick a city and follow the instructions. But before that, I want to get you in on the cheapest and the quickest itineraries to Vagamon. Which brings me to a definite travel tip/philosophy: time and money are inversely proportional, so have either one on your hands whenever you’re hitting the road! Great news first! We have just come up with a Zostel in Vagamon, surrounded by tea-estates and green hills and nothing else. You can check it out here! If you’re backpacking on a low budget and are wondering what the cheapest way is to reach Vagamon, we’ve got you covered! The route includes switching buses but when you’ve got beautiful views all along the way, what’s the hassle? 1. Reach Kochi from wherever you are. 2. 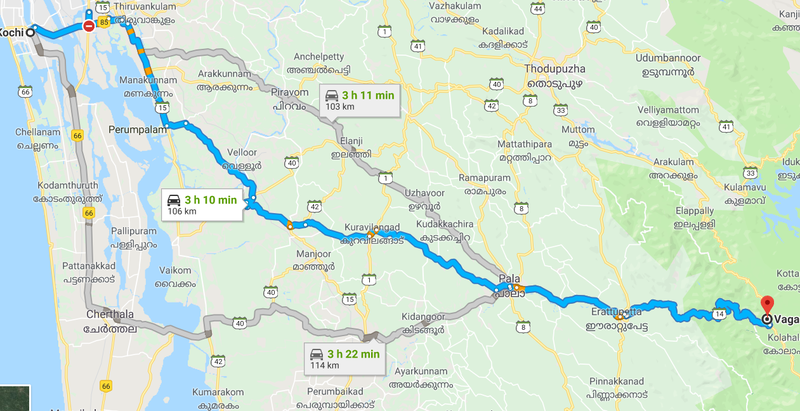 Take a bus from Kochi to Thodupuzha. The distance is 65km and should be covered within 2 hours. 3. Switch and take the bus to Eratupetta. This is a 45 min bus ride that covers another 31km. 4. 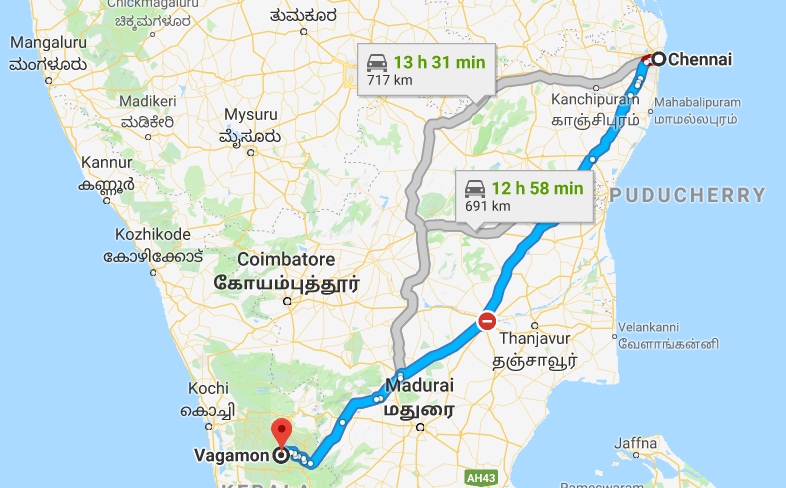 Take another bus to Vagamon, which is a mere 26km. Alternately, you can try taking an auto-rickshaw for this distance. 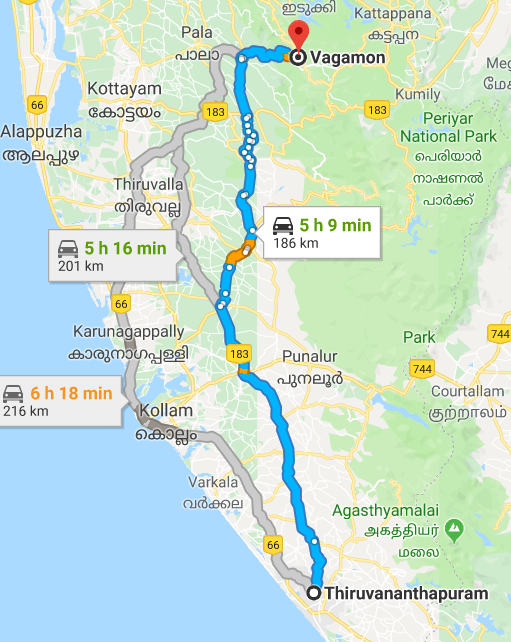 If you’re taking the above-mentioned route, you’ll reach Wagamon from Kochi in under 300 INR! If you’re low on time and would like to cover as many places as possible on your holiday, you might want to keep things simple. Here’s how you do it. 1. Fly down to Kochi (COK). 2. Take a direct taxi from Kochi to Vagamon. The total distance is 97km and should take no more than 3 hours to cover on road. If you’re living in one of the nearby cities in South India, pick the respective city and explore your options below. To check the bus routes, I found this website very helpful. Sounds like a plan? Book your getaway here! 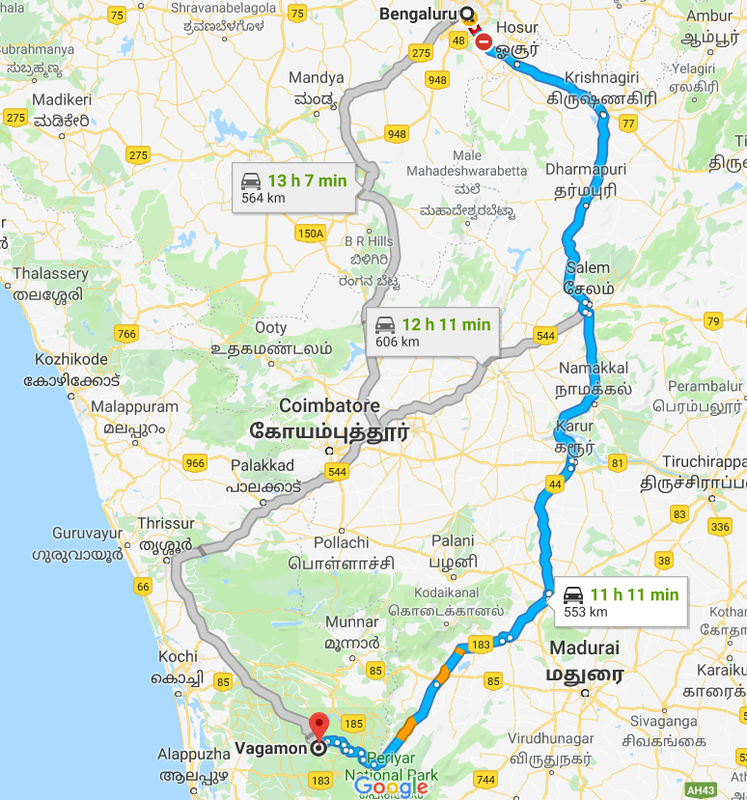 Taking a road trip to South India? 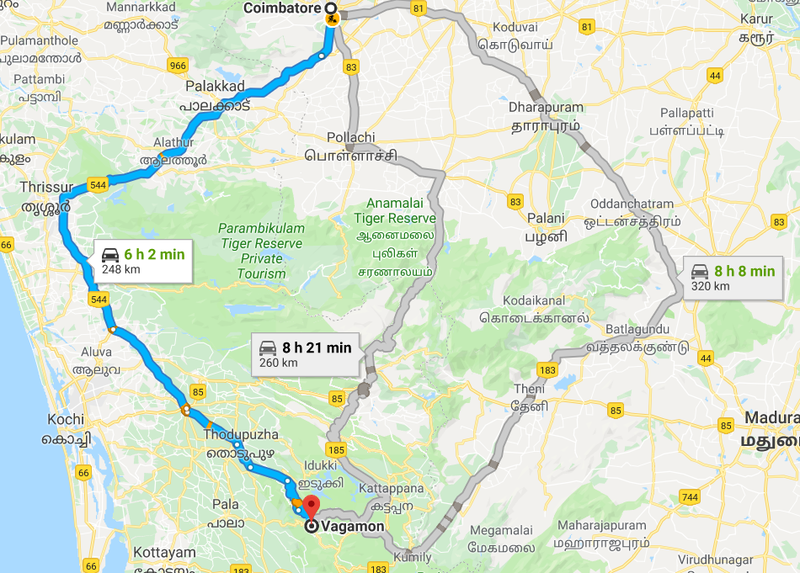 Here’s how you can include Vagamon in your bike/car trip to South India! If you’re planning to cover multiple cities at a time, here are the ones you shouldn’t miss for the world. If you fancy marvelling at exquisite granite cliffs and forest valleys, you’ll LOVE Kodaikanal. 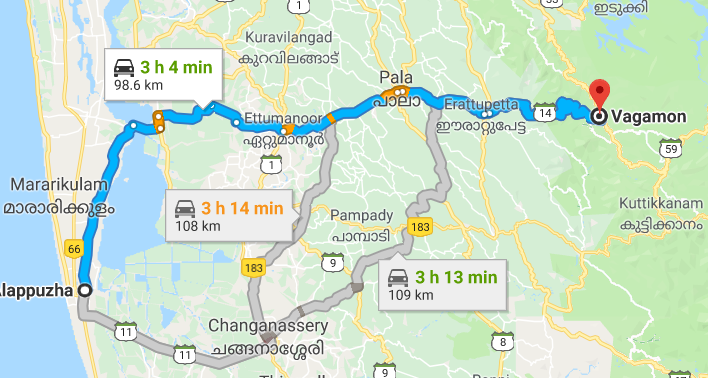 Stop over for 3 or 4 days and spare 1 whole day for Vattakanal. You can stay at Zostel Kodaikanal for a complete backpacking experience. Check out our home here! Situated by the waters, Alappuzha is a must-go if you want to experience the Keralian backwaters at their best. With ancient temples and beaches galore, Alleppey makes for an exciting backpacking destination in Kerala. And hey, we’ve got a home here too. Check out our amazing place here! Coastal cities are mankind’s blessing to themselves and Cochin is no exception. Explore the old city area along with the Fort and all the beaches here. You can stay at Zostel to experience the best of the city. Book here! If you fancy hill stations flooding with greenery, just like Vagamon in Kerala, there’s also Ooty in Tamil Nadu. 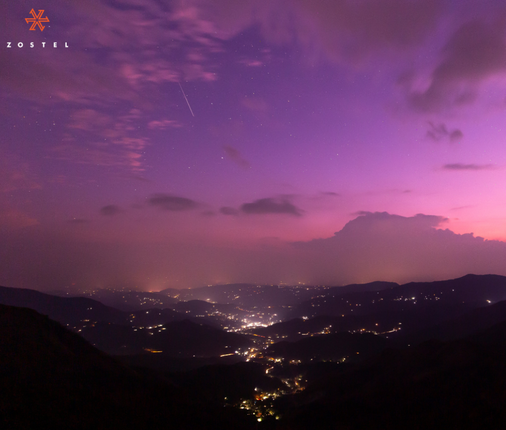 Teeming with hiking and trekking routes along with waterfalls and exceptional flora, the hill town is a traveller’s delight. We organise small hikes and help you explore Ooty the best way at Zostel. Check us out here! Wondering what Zostel is? Well, we’re Asia’s largest backpacking hostel chain spread across India and Nepal with 34 backpackers’ hostels and counting. Know more about us on our website. You can get in touch with us on Instagram by clicking here! Dasvidaniya Zostelers; ‘till next time!